One of the very good thing about being a part of the Design Factory is the provision of a mentor to support you in your creative business. I have to confess that I have been actively avoiding my mentoring session because I have had so much on that I couldn’t bare the thought of my mentor piling anything else on top. What a fool I am! During a lengthy and well structured session today we went through the success of my past year and considered where things needed to be done better – not more, just more planned. It was incredibly useful to actually break down all the events and to work through what might have made it even more successful. I now have a list, it isn’t a very long list but I have considerably more confidence as a result of it that I can go some way to avoiding the turmoil of the past couple of months if I follow it. Address my marketing – do what makes a difference and don’t bother with what doesn’t. Get a planner – and use it! Research the galleries that I want to stock my work. 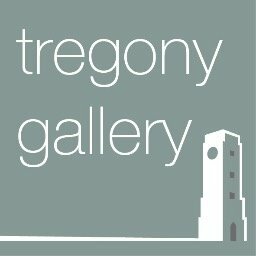 Tregony Gallery will remain firmly on my list! Having got that all out of the way I decided that the day was too good to be in the studio and I set off to play in the water. With the Falmouth Classics in full swing it was wall to wall boats in the bay. When I got back to my phone it was to a message form the wonderful Tregony Gallery to say that whilst I had been messing about in boats they had sold five of my pieces!! Do I panic that I need to make more work I hadn’t planned for? No! I will refer to my planner and decide what to do calmly and sensibly. And so, with no apologies, I’ve got a little list!